This holiday blondies recipe uses a secret ingredient – boxed cake mix – for a quick and easy holiday treat. Perfect to take along to parties and gatherings so you don’t arrive empty handed. During the holidays all bets are off. Bets meaning diets. 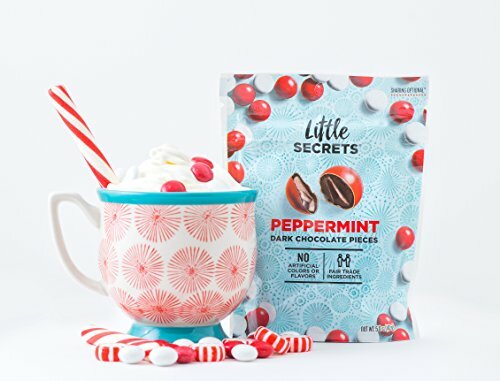 We indulge in delicious treats during the holidays knowing that new years is right around the corner waiting for us to commit to healthier eating. And that’s ok. I really think it’s healthy to indulge without guilt. At least within limits. Which is why I am sharing this yummy holiday blondies recipe. It is so easy to make and it’s fun and festive. It seems like you put a lot of work into it, but it really only takes a few minutes to prepare. The oven does the rest. Please note that this holiday blondies recipe was provided by a a guest chef. The article is written by me, but this yummy recipe was created by a contributor. Well, aside from a light haired woman, a blondie is kind of like a brownie but without chocolate. So it’s a non-chocolate brownie. Or a blondie brownie. What flavor is a blondie brownie? A blondie brownie is vanilla flavored. You could flavor it in other ways too, especially for the holidays. Add some almond extract or even some peppermint extract. How do you make simple blondies? Simple blondies are easy. Use a boxed cake mix like I use in this recipe! What is the difference between a blondie and a brownie? A blondie tends to be a little less dense than a brownie. It’s also not chocolate flavored. But they are both baked in a “bar” form and you can pick them up and eat them with your hands. A blondie is somewhat more versatile because you can easily change up the flavors to make a completely unique dessert. If you are like me, you prefer not to use boxed products filled with preservatives or hydrogenated oils, but you like the convenience of a boxed mix. There are plenty of brands that sell natural and organic boxed cake mix without all of that stuff in them. I shop at Whole Foods, but you can probably find them at your local grocery store as well. Amazon has some too but if you don’t mind buying them in bulk. If you go to the trouble to use an organic cake mix, you may not want the colored dyes in your chocolate chips. You have a couple of options. Buy natural white chocolate chips and dye them with natural food coloring. Use a a brand like Little Secrets or Unreal coated candies instead of the chocolate chips. Ok, so after all of that yapping, I’m finally giving you the actual recipe. Make sure that you follow the recipe as-is, do not follow the recipe on your box of cake mix. This holiday blondies recipe uses a secret ingredient for a quick and easy holiday treat. Perfect to take along to parties so you don't arrive empty handed. Preheat oven to 350 degrees F. Coat a 9x9 square pan with butter then dust with flour (generously). Using an electric mixer, mix together butter and brown sugar until creamy. Add eggs and continue mixing. Add milk and vanilla extract. Once wet ingredients are well-combined, add cake mix in thirds. Fold 2/4 of the colored chocolate chips in brownie batter. Pour into coated pan and bake for 25 to 30 minutes or until it passes the toothpick test (ie. : insertion of a toothpick in the center of the brownies and it comes out clean). Allow the brownies to cool on a wire rack. Cut into squares and place on wax paper. Melt white chocolate in a bowl and drizzle on top of each brownie. Top with your remaining colored chocolate chips. Allow for the white chocolate to set and then serve. Happy holidays – enjoy! Mmm, I’ll have to try these. I always think of a Blondie as more butterscotch flavor than vanilla, but these may be different because of the vanilla cake mix. Thanks Kim!